OSHA’s mandatory training standards made easy. Free webinar, February 18. You’re not alone. Trying to understand OSHA’s training standards can be a challenge for anyone. Let us help. United Academy is happy to host this free on-demand webinar in conjunction with Vivid Learning Systems’ Chief Safety Officer, Jill James. Jill James knows what it takes to run a modern safety program. Twelve years of experience as a Senior OSHA Safety Investigator, and nearly a decade in the private sector as a safety program manager, gives her an unrivaled perspective on risk, regulation, and liability. You’ll gain knowledge that can be shared with leadership to strengthen the case for a better workforce training program, and the ability to confidently report on the current status of your training program. 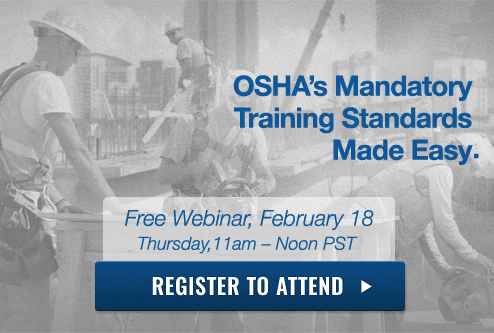 If you need to understand OSHA’s mandatory training standards, this event is for you. We’ll help make it easy. What’s the one training topic every organization must cover but doesn’t know it? Fire extinguisher training— if you have fire extinguishers, your employees need this training. This training is for anyone having access to a fire extinguisher and employees expected to extinguish small fires. 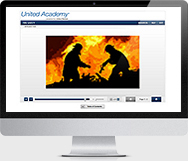 To learn more, visit United Academy. © 2016 United Rentals, Inc. Please unsubscribe me from this email. | View email online.